This week we’re getting to know Juli D. Revezzo, author of the Celtic Stewards Chronicles, the Antique Magic series, and more. If you like classic myth and legend type fantasy with a bit of romance thrown in, you’ll love these books. The intricate exploration of classic folklore will feed your intellect while the men will have you swooning from page one. 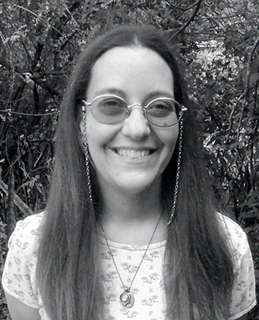 Juli D. Revezzo loves fantasy and Celtic mythology and writing stories with all kinds of fantastical elements. She is the author of the historical romances, House of Dark Envy, Watchmaker’s Heart, and Lady of the Tarot, the Antique Magic paranormal series and Celtic Stewards Chronicles series and more. She is also a member of the Independent Author Network and the Magic Appreciation Tour. I’m Juli D. Revezzo, I write fantasy, fantasy romance, and historical romance. 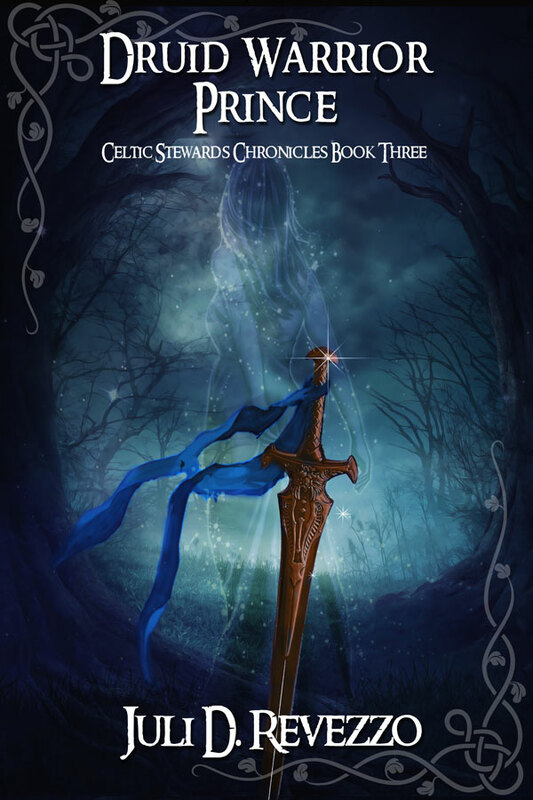 I’ve written the paranormal fantasy series Antique Magic, (about a woman whose husband is tormented by demons and a family curse) the fantasy/historical fantasy romance series, Celtic Stewards Chronicles (about a family who own a certain piece of property on which the Irish gods, the Tuatha de Dannan, do battle every five hundred years. This is based on a Celtic myth! ), and a handful of steampunk and historical romances. Right now, I’m finishing up my current Work-in-progress a steampunk romance and writing the next Celtic Stewards Chronicles book. I always loved the Arthurian legends, but fully, it was in high school. I discovered the Elric series by Michael Moorcock and I was hooked. I wasn’t a big reader as a child, but I loved the Arthurian legends. The Elric series by Michael Moorcock. The last book fantasy book I read was Fairytale Christmas (The Fair Folk Saga #1) by Merrie deStefano. My current favorite? Of the last year it would be that or Kitty Takes a Holiday by Carrie Vaughn. Michael Moorcock or Virginia Woolf. When I was about 8 years old. Sort of. It was about a fairy wedding. But I was always making up stories and babbling them at my family. So I’m sure it wasn’t the first thing I’d ever “written”. I wrote a lot of poetry and song lyrics when I was a child into my college years, when I attempted my first full-fledged novel. The most difficult? Getting published. The best part, finishing a damned good story. Oh, wow. Good question. Um, I think history. Ancient history, specifically. I’m already an armchair enthusiast but I’d loved to just learn everything about … well, specifically the Celts. There’s so much we don’t know about the Celts, I’d like to know the answers to some of those blanks we still can’t fill in. Why? I’ve always been intrigued by them. Ireland—or Italy. I studied the Italian Renaissance in college, and recently became obsessed with Pompeii, I’d love to visit! Thanks for sharing a little about you! I’m a huge fan of folklore, so I loved getting to learn more about the Celts while enjoying an exciting romantic adventure at the same time! If you’d like to check out Juli’s books, you can find them at the links above. That is such an important statement for all writers to remember. Write what you love. You will hear from others who will try to talk you down. Walk past them and continue doing you’re thing.